Our twenties is a time filled with firsts. According to research it is the decade we remember most vividly. Many of us document our experiences, often with the intention of doing something with those journals and emails about our gap years and unrequited crushes. Writer Annwen Elizabeth Evans, now nearing 32, has done just this and distilled her experiences into a first volume of poetry. Shining in Brightness courageously takes on the project of reconciling youthful experience. Early poems, like ‘To whom it may concern,’ echo a creative timidity and self-consciousness. Through the sets, the poet’s voice grows in confidence, inviting us in poems such as ‘Here is something to marvel at’ and ‘Pavement Walker’ to observe the world with her. This is a sample press release for my recently published first volume of poetry, SHINING IN BRIGHTNESS. Do you know of a newsletter, community of readers or similar that might be interested in the work? Post your suggestion as a comment or email (beadedquill@gmail.com). Follow me on Twitter as I share my journey as a fledgling writer and learn about artistic self-promotion. I’m @BeadedQuill. First thoughts for this poem were drafted on a little black Alcatel. I had been given the ‘phone as a freebie on opening an Orange account when I first arrived in the UK. On the evening of these first draft thoughts, I think I was on my way to see the friends whose household features in another of my poems, 118A Creighton Avenue. “Pavement Walker” reflects a typical weekday evening in a North London suburb when it is repopulated after the workday exodus. The commuters spill onto the pavements from the tube and buses, still bent over their ‘phones and cares. The original draft mentioned “Consult/ the insufficient Blackberry,” but I removed the brand reference in respect of their copyright. This allowed for a smarter poetic turn, as I could then insert an inter-textual reference to a line from TS Eliot’s “Four Quartets.” See if you can spot the allusion. “Pavement Walker” serves as the opening poem of my first volume, Shining in Brightness. Positioned as such, it was intended to be both a poetic and thematic entry point into the (sub)urban landscape, which is the setting for much of the work. It also introduces the tone of quiet meditation that qualifies many of the selected poems. “Pavement Walker” appears in the 94th issue of the South African poetry journal Carapace. You can order copies of Carapace or read more about the journal here. To preview my first volume of poetry SHINING IN BRIGHTNESS: Selected Poems, 1999 – 2012, visit the online bookstore at blurb.co.uk. Follow my regular tweets on poetry, pavement walking and suburban life. I’m @BeadedQuill. the printed side: too glossy. I once read that those who buy poetry tend to be middle class, university educated women “of a certain age” (by this, the article implied over 50). Yet whenever I’ve been in Foyle’s on Charing Cross Road, most of the women are next door in the cookbook section and there are one or two corduroy-jacket wearing men at the poetry shelves. At university, those lecturers under whose tutelage I was introduced to Auden, Keats and Donne, were all male. At the moment I am taken with the work of Charles Bukowski. From the poetry I studied at school during my adolescence, it is Pound’s “At the Station” and Hughes’s “The thought-fox” that still haunt me with their technical craft and sharp imagery. My own mother is not much into poetry. She trained as a pianist and her interest lies in classical music. It was my father who had an abiding interest in literature and went as far as memorising verse. I write in the accompanying essay to my first volume, Shining in Brightness, about his influence. In fact, I may owe my very existence to poetry. My mother had attended an ‘am dram’ production, for which my (later) godmother had painted the sets and in which my father played a bumbling, detective’s assistant. During the after party, he wooed my mother with a poem written on the back of Salticrax box. I was born the following year. 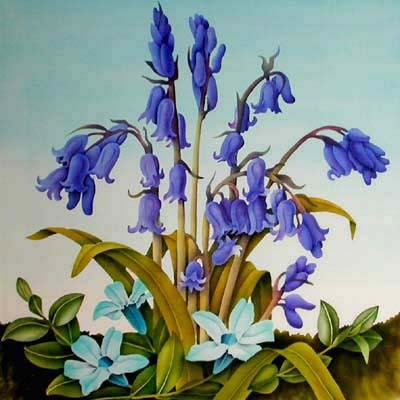 If you would like to follow my regular musings on Twitter, I am @BeadedQuill. You can order copies of my first volume, SHINING IN BRIGHTNESS: Selected Poems, 1999 – 2012, here. Then it will be life. Another poem earmarked for “Emily’s Poems for Modern Boys,” a set in progress for my next volume of poetry. 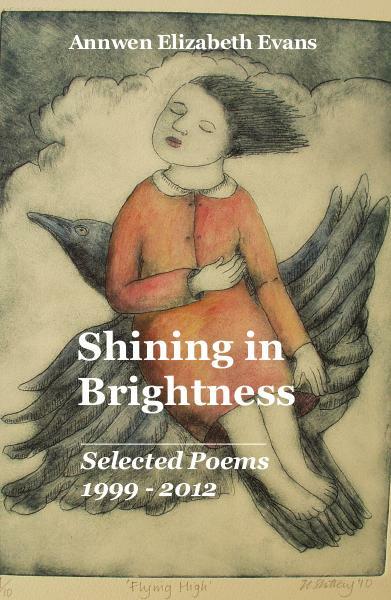 Preview my first published volume SHINING IN BRIGHTNESS: Selected Poems, 1999 – 2012 here. This poem features in my recently published (first) volume of poetry. I write in my postlude that these less polished older poems offer snapshots of my output as it has moved through its development and offer a glimpse of adolescent whimsy for which I am now a little nostalgic. The ‘real’ events of this poem happened in mid-summer, yet the artistic license of posing events in an English spring-time breathes freshness and new growth into the emotional sentiments and harks back to the listed flowers of a song we learnt at school, “In an English Country Garden.” Not likely to be judged a mature echo in the tradition of nature poems, this little thought sprung from youthful infatuation in a medieval university town surrounded by pastoral countryside. There were lots of English flowers; all the very flowers I had read about, sung about, read about in poems. I was giddy on travel on youth, and on current buns eaten under willows on the riverbank. Click here to preview “Shining in Brightness” my first volume of poetry. Blog readers, perhaps you have some thoughts? If you enjoyed “At noon” visit my first volume of selected poems here. Follow my comments on modern boys and the wild west of laziness (usually my Saturday mornings) on Twitter. I’m @BeadedQuill. Today, 7th March, is World Book Day. 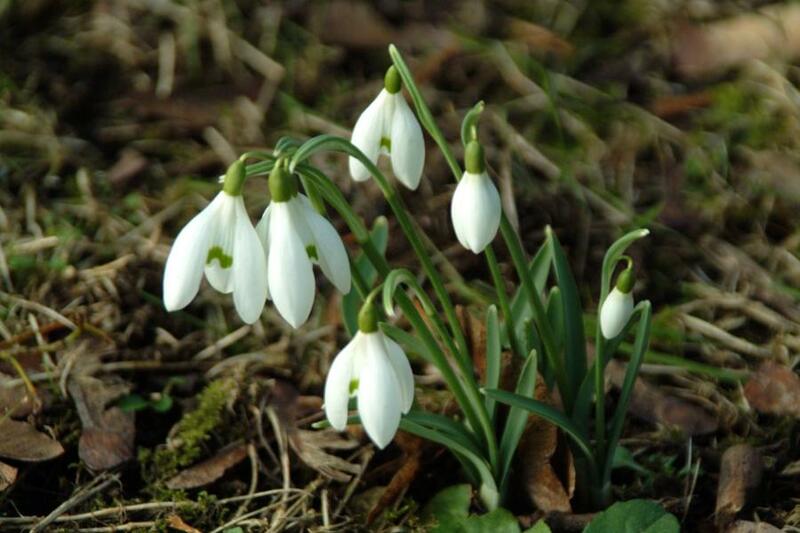 Is this a day for a species facing extinction? As someone who has created a book, I suppose I should encourage you to go and save a book from extinction. Go and pick a book off a shelf at your library, indie bookstore or your own overfilled shelves. Or at least, order a copy of mine. Forgive the tone, for in truth I love books. I love how as an adult I can carry one around like a comforter, for I suspect many of us do. Even in this age of digital reading options, some people I know will carry around a choice of volumes on transport with them and those in addition to a few ‘must read’ newspaper articles and supplements. So we go out with these talismans against boredom, those of us with brains that struggle to keep still or who have become arrogant enough to think a stranger’s conversation will probably be uneducated babble and a waste of time. My Father, who would talk to (though not with) anyone, was well known for having a book stuffed in the back pocket of his trousers; my Mum would despair at how this ruined their spines. At Primary School on a Friday we used to watch old fashioned reel-to-reel movies in the school hall. Usually there were a few cartoon balanced with a couple of Department of Education issues. One week we watched about book care. In the clip, we were shown a book wailing out in its moments of torture: being dropped in a bath, having its spine bent, being written in, having liquid spilled onto it. (What else was there to educate little girls about in late 1980s South Africa?) I took these warnings to heart and endeavoured for many years afterwards to spare the books in my life such agonies. In our home, books were regarded as precious, except by my Dad who left them lying open on top of the ‘fridge or stuffed ungraciously in-between others in a bookshelf (habits that proved of further irritation to my Mother.) At one point during my growing up, we had twenty-two bookshelves of books, many shelves bulging with many more than one neat row. My Dad, who littered his volumes around the house, was the one who was always reading. He read while eating, shaving, even walking home from the station. He juggled life with absorbing those volumes and read a great thick volume about the Irish Potato Famine at least three times over in the last few years of his life. The wonderful habit, which drove us all batty, was that Dad would recount, chapter for chapter, page by page, what he was reading. It was a running audio book (seldom on subjects of our interest) in the household. We all longed for silence and less incessant “Did you know?” Now, of course, we miss it. Even “Anna Karenina” on MP3 download is not the same. Nobody else has the same knack for recounting what they’re reading. Books can be precious. They can be portals. They certainly were an addition to my childhood home life. However, I believe it is the storytelling – over and above the format – that warrants celebration. So, yes, go and support your local library, the indie bookstore, dig out an unread volume from your shelf, but add a story to it. Write it, tell it, leave it on a voicemail. Give that story to someone else. Love a book, sure; just enlarge the stories that they carry and share the love with another person. On canvas, there they dance. This poem was inspired by a detail from “Inferno,” a painting by contemporary Swedish artist Per-Inge Isheden. “Inferno” is a portrait of the nineteenth-century Swedish playwright, literary luminary and painter August Strindberg (1849 – 1912). You can view more of Isheden’s absorbing paintings here and you can follow him on Facebook. With thanks to Isheden for allowing me to reproduce this detail and reference his work. Did you enjoy my poem? Would you like to read some more? Preview my first volume of selected poems. And don’t forget to follow my adventures with Jaegerbombs, barmaids and literary luminosity on Twitter. I’m @BeadedQuill.